The Coquille River in Oregon provided an entranceway from the Pacific Ocean to the forests and lumber of the Coquille River Valley. However, navigation into the Coquille River would prove to be difficult as the river entrance was blocked by bars produced by the shifting sand. In order to allow access to the lucrative valley, the government built a jetty on the south side of the river in 1880 to deepen the channel. This helped lead to the building of sawmills and shipyards along the river which increased maritime traffic. Construction of a lighthouse to serve as both a coastal light and a local harbor light for the town of Bandon was approved by Congress in 1891, but difficulty in obtaining land delayed the actual construction until 1895. The original appropriation amount for the lighthouse was $50,000 but most of the funds were diverted to other lighthouse projects. 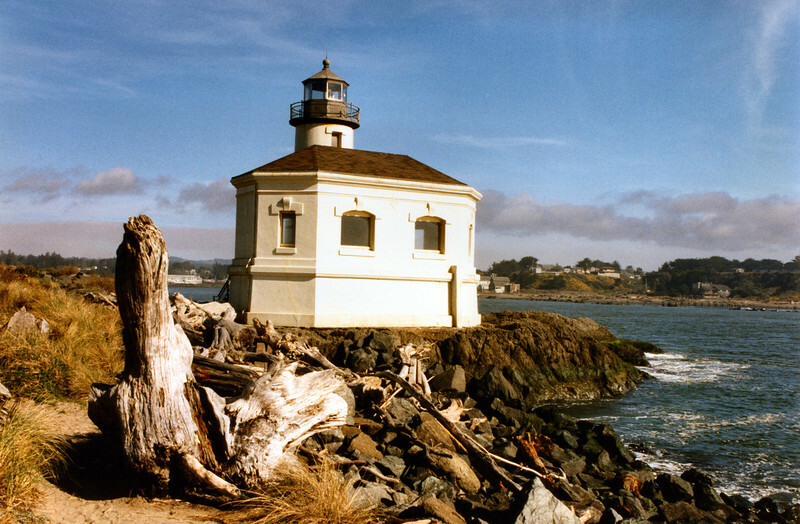 Only $17,600 of the monies was left over to build the last lighthouse on the Oregon coast.